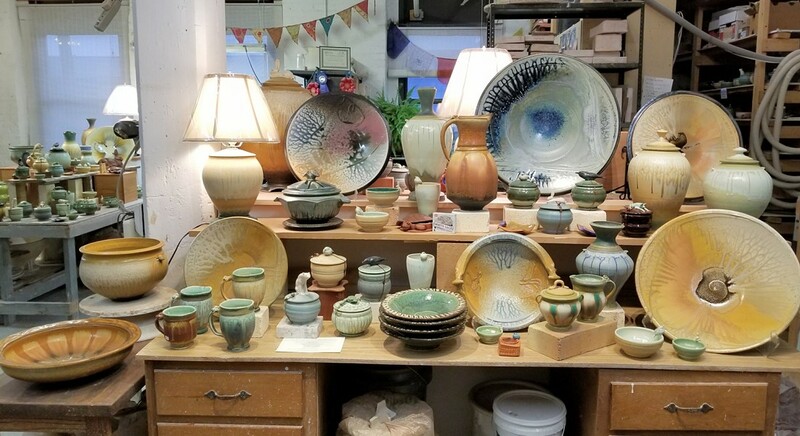 Pottery, blown glass, sculpture and prints by Richard Aerni, Carolyn Dilcher-Stutz, Peter Secrest and Kurt and Judy Feuerherm. Soup. Sweets. Savories. Cider.